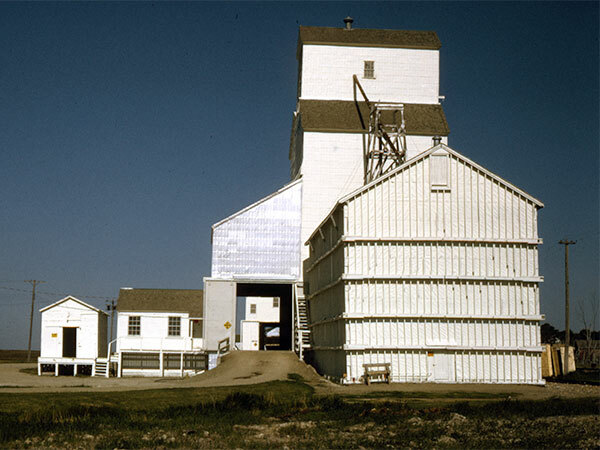 A 35,000-bushel wooden grain elevator at Fairfax, on the CNR Hartney Subdivision in what is now the Municipality of Grassland, was built in 1935 by the McCabe Brothers Grain Company, which constructed balloon annexes on two sides. 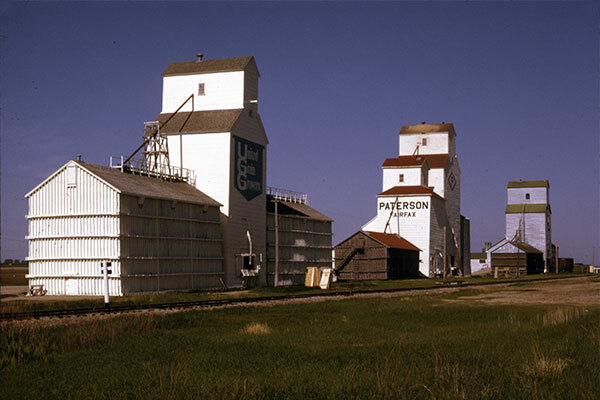 Sold to United Grain Growers in 1967, the facility was traded to Manitoba Pool Elevators in 1971, then re-sold to Paterson Grain in 1981. 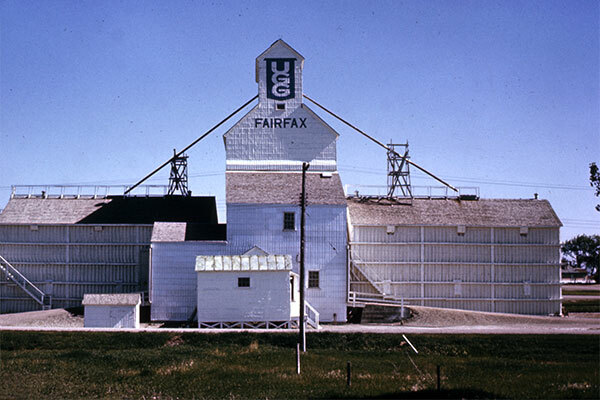 It is believed to have been removed from the site in the late 1980s. 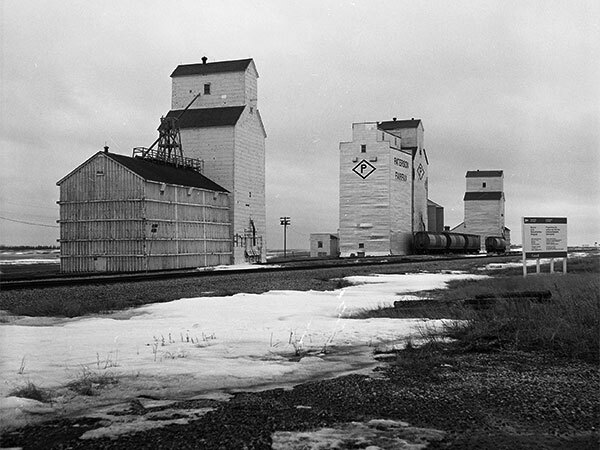 A19905-15 (1967), Manitoba Air Photo Library.